Download "DETERMINATION OF MERGER NOTIFICATION M/12/025"
TERMS OF BUSINESS This document is valid from January 01 st 2015 until further notice. 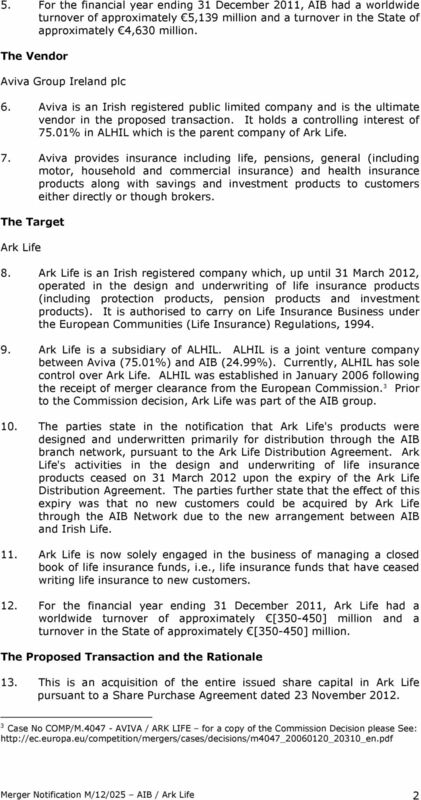 Terms of Business Finance Life & Pensions Ltd t/a Cregan Kelly Financial Services. 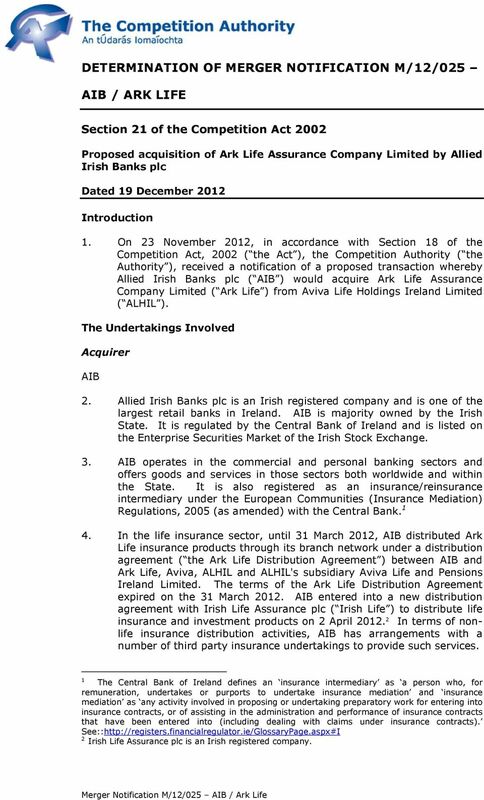 Status MCG Financial Services Ltd ( the Company ) is regulated by the Central Bank of Ireland. AIB Retirement Options. Helping you make the right retirement choice. 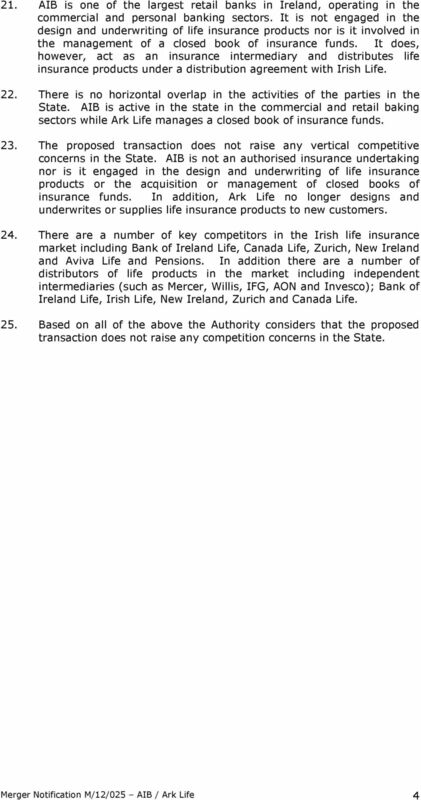 These products are provided by Irish Life Assurance plc. 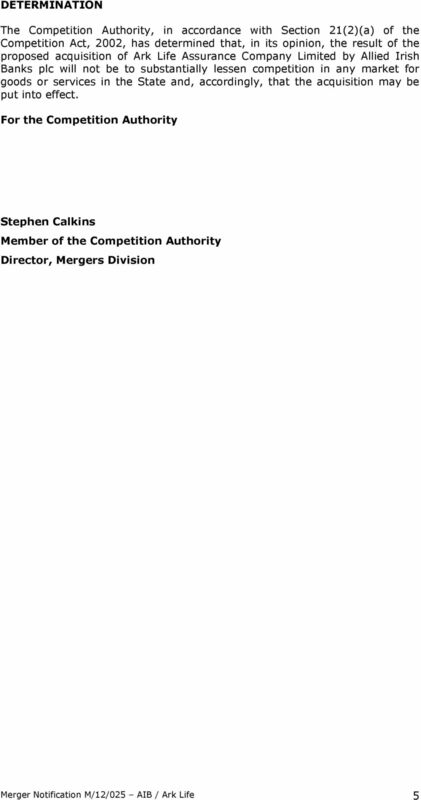 I can confirm that both companies are separate entities but there are some common Directors of both companies. Proposed merger of Nationwide Building Society with Portman Building Society The OFT's decision on reference under section 33(1) given on 21 November 2006. Full text of decision published 27 November 2006. Euler Hermes UK Broker Terms of Business Agreement www.eulerhermes.co.uk This Terms of Business Agreement ( TOBA ) takes effect and applies to our business relationship with you from 1st November 2007. 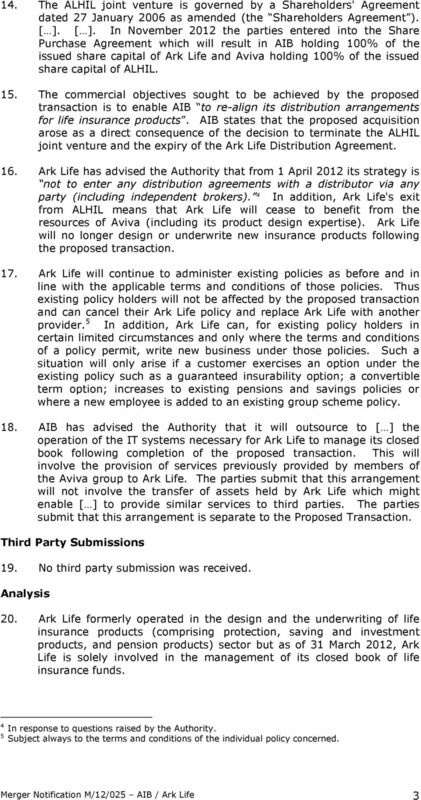 Finance Company of Ireland Ltd.
AIFMD means Directive 2011/61/EU of the European Parliament and of the Council of 8 June 2011 on Alternative Investment Fund Managers, as amended. Owner managed businesses: Bringing your corporate and personal goals to life Owner managed businesses PRECISE. PROVEN. PERFORMANCE. Bringing your corporate and personal goals to life Dynamic. Ambitious. Chapter 7 EQUITY SECURITIES METHODS OF LISTING. 7.01 Equity securities may be brought to listing by any one of the methods described below. P.M Brennan L.A.C Ltd T/A Irish Health Insurance is regulated by the Central Bank of Ireland.